Magic Spaghetti is a hilarious and mouth-watering story, inspired by the Calabrian folk tale ‘The Magic Pasta Pot’. 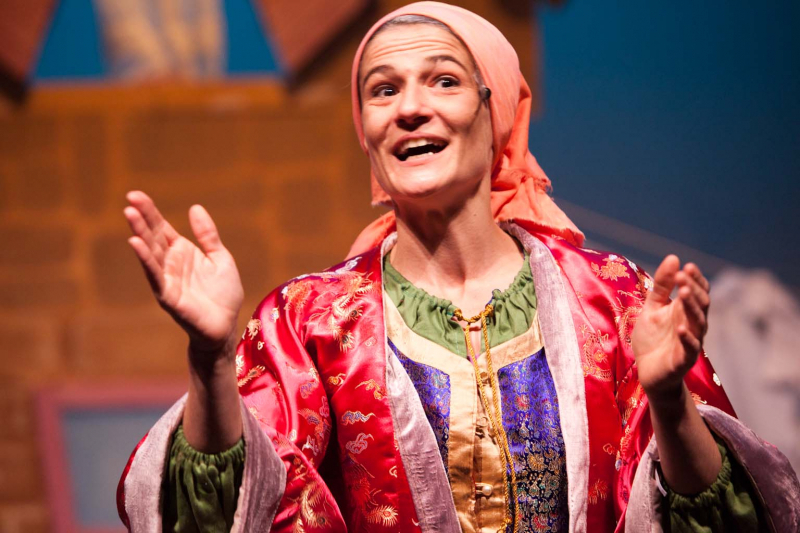 Strega Nona is renowned for her handy magic remedies but raises eyebrows with her ‘fancy’ cooking, in the town of Plain in Scotaly. Amidst rich original songs, one by one the townsfolk secretly pay her a visit. Big Tony only eats spaghetti. Imagine his delight when he discovers her magic spaghetti pot! Magic Spaghetti is a 4-hander and requires a performance space of 7m/7m, with some flexibility. It has previously been performed in theatres and schools around Scotland. 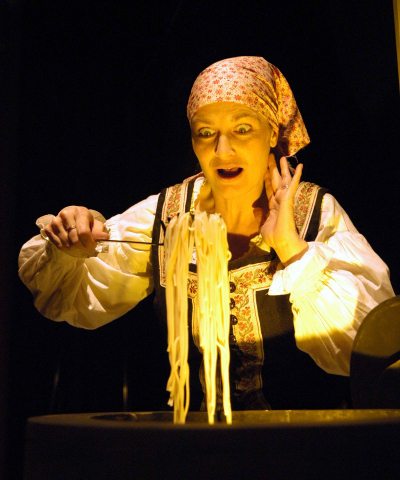 A school in East Lothian developed a whole term of work around the story of Magic Spaghetti! Licketyspit has seven touring shows in its repertoire. For more information on how to book a show or tour, please contact info@licketyspit.com or 0131 332 1648.